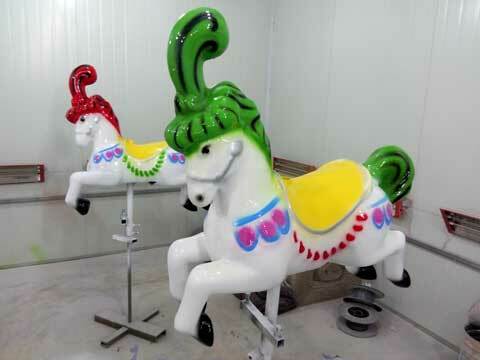 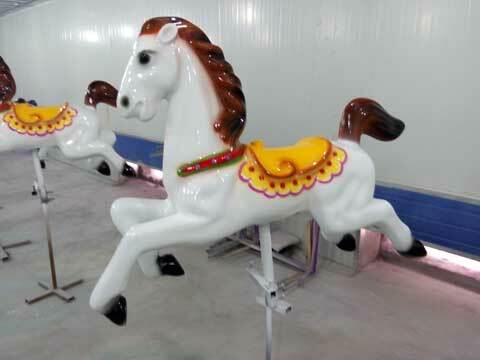 Beston full size carousel horse for size can be customized in different sizes. 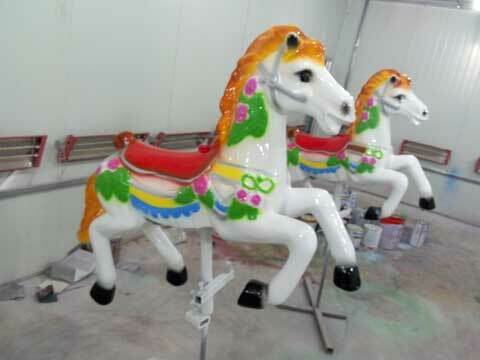 All of our carousel horse for sale are by our workers in our workshop. 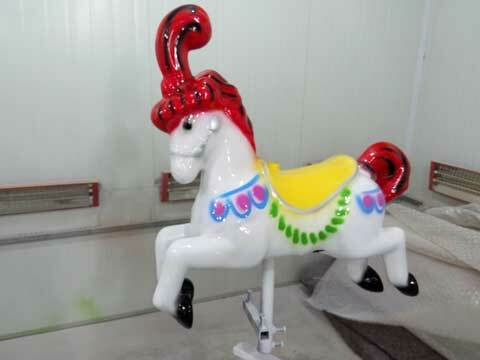 No matter what kind of horse or animals you like, you can tell us, we will make the carousel horse as your order. 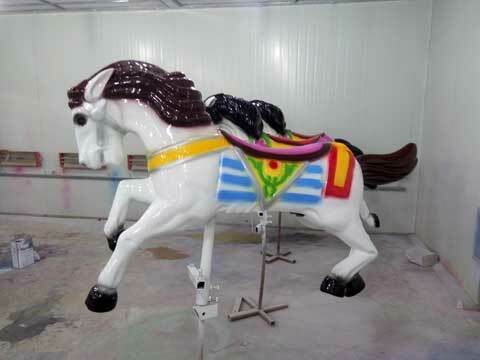 We also provide some hot models and kids or passengers best love. 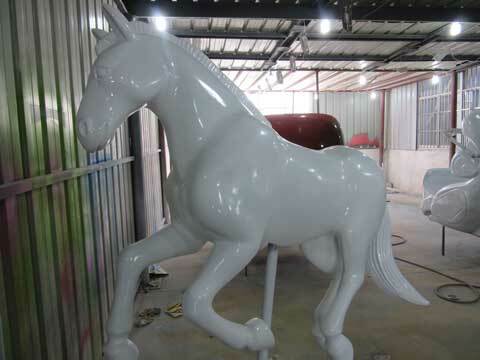 Our full size horses are made by FRP（fiberglass） and we use the ancient oil-technique, fadeless with high quality. 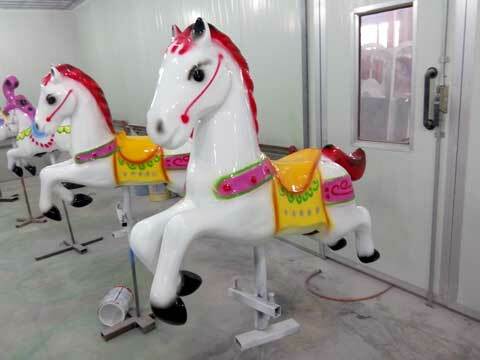 Colorful painting, fadeless, more attractive. 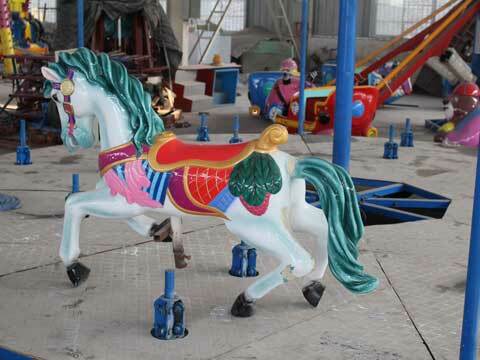 Main material is FRP which is more durable than other material. 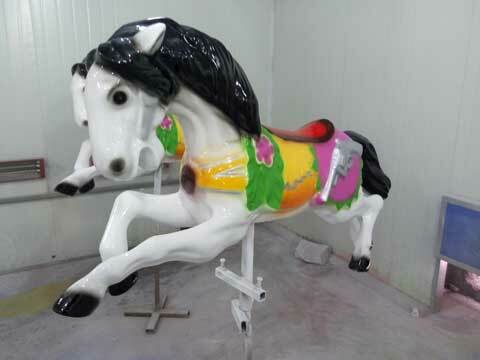 Any type you want is available, but you need to inform us in advance. 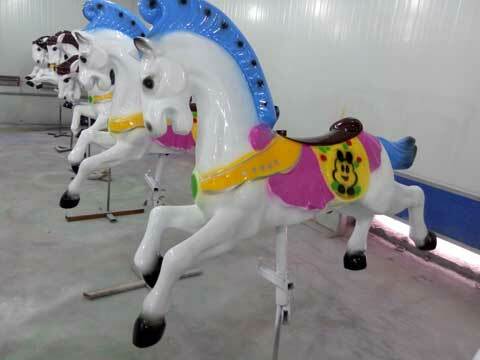 We have many other styles full size carousel animals not shown here yet, GiraffeLions, tigers, camels,cat, etc. 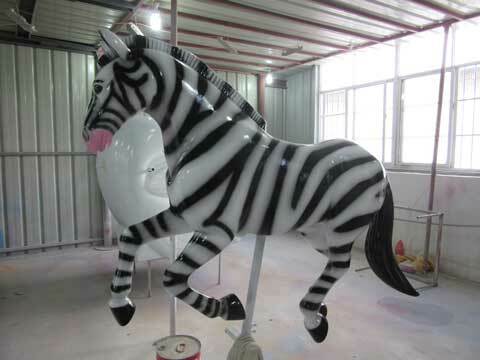 if you want to order other animals, you are welcome contact us, we will reply you as soon as possible.